About Us » Roger Perron Inc. 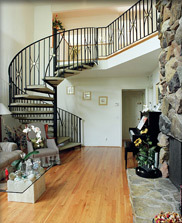 Welcome to Roger Perron, Inc., Design and Construction. We are what is known as a design build company. We specialize in elegant, affordable home design, and are also a full-service construction company for all types of remodeling, additions and custom new homes. We help homeowners realize their dreams and obtain a beautiful and functional home done to their exact specifications and within their budget. We have our own team of craftsmen as well as competent licensed subcontractors to handle some specialty trades, who have all been with us for years, thus enabling us to handle every aspect of a complete job as needed; for instance, custom house planning and design, foundations, plumbing, carpentry, electrical, heating and air conditioning, drywall, plaster, granite, tile work, mirrors, paint and wallpaper, all finishings and cleanup – whether it be an entire installation in a new location or a remodel of an existing space. As a design build company, we benefit the homeowner by having the design team (the building architects, engineers and landscape architects) and the construction team all working together in an integrated way. Combining all these functions saves the property owner a lot of time, money and stress by having a single point of responsibility, Roger Perron, as the owner, that’s accountable for the entire project. There are a few key foundations that we base our business philosophy upon. The first and foremost is affordable excellence. One of the reasons we are able to provide such outstanding service at a reasonable cost for over thirty years is that we do have our own tight-knit team. This makes for a high level of coordination and communication between designers, architects, general contractor, supervisors and craftsmen, which reduces waste and increases economy. The second foundation of our business is exceptional design. It’s rare to find a construction company who cannot only skillfully complete the job, but who also has the ingenuity and creativity to think outside the box and provide a unique architectural design. The process begins first with listening to the property owner’s needs and then coming up with a design that is fresh and creative enough to inspire pride and satisfaction in one’s home. 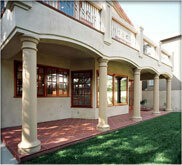 This custom design is then skillfully integrated into the building process with expert supervision. 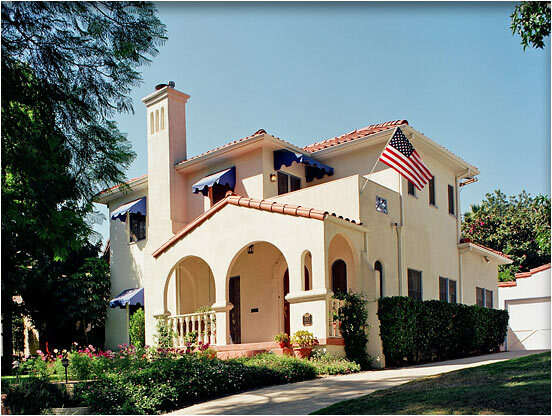 Roger Perron, Inc., provides custom home design and remodeling services to the entire greater Los Angeles area including, but not limited to, Glendale, Pasadena, Burbank, Santa Monica, Studio City and Encino. A full list of the areas and cities we work in is available at the Service Areas section of this website. My first apprenticeship training was between 1958 and 1964, at which time I had practical experience after school and during school vacations under my father’s tutelage — I worked with tile men, painters, etc. By 1965, applications became second nature to the point where I went into my own business. From 1965 to 1969 I was a ceramic tile and floor covering contractor. The work performed was mostly residential, but I also did some commercial jobs — for example, a fifty-unit apartment building, which included all-ceramic-tile baths, kitchen floors and carpeting throughout. 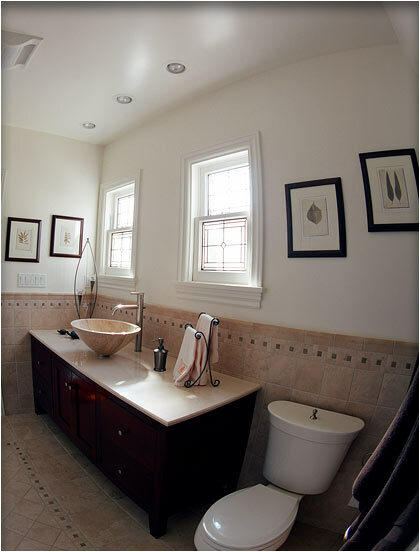 From this experience, I became knowledgeable about bathrooms and started specializing in bathroom design and remodeling, eventually doing some very fine projects. By the end of 1969, my affinity for the home remodeling business had increased to the point where I decided to change my method of operation by putting more emphasis on design. While continuing in my own business, I apprenticed under a number of architects over the years and became known as a highly qualified designer, experienced in interior and exterior construction. I have extensive experience with complete home remodels – usually requiring the installation of bathrooms and kitchens – as well as with room additions, second-story additions that maintain exterior continuity and new home construction. I’m also proud to mention that I hold a certificate from the Boarman School of Kitchen Design and have finished many beautiful and functional kitchen and bathroom remodels. Actually, I have successfully completed just about every kind of home construction project at one time or another, from new construction to any kind of home remodeling, including hillside construction and correction of earthquake damage. One unusual job we performed was the replacement of support columns and their footings for a waterfront home, which were submerged in water when the tide came in. I’ve been currently performing mostly custom and artistic projects in the Greater Los Angeles Area and have been told my designs represent excellence in every detail because of the close communication I have with each homeowner. I’ve always stressed to myself and my staff that fine design, quality materials and meticulous workmanship are paramount in all instances — and that has been the key to the success I have enjoyed. My profession as a designer and general contractor is truly an art and I receive much satisfaction from a beautifully finished product and happy clients. These are my aims and they have earned us an excellent reputation throughout the years. Because of this philosophy, approximately one-third of our business is repeat business (owners remodeling other parts of their home, a new location, second home, etc. ), one-third comes from referrals and one-third consists of new contacts, such as the people who call us from this website. We’d love to find out how we could best provide what you need and want and thus make your dream become a reality. 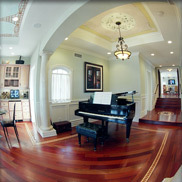 Originally from New Orleans, Louisiana, I’ve been practicing Architecture now for over twenty-five years. 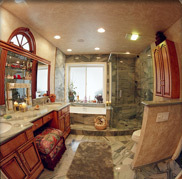 I’ve designed everything from bathrooms to multi-million dollar hotels and condo developments. My Bachelor of Architecture degree came from Louisiana State University in 1986, where I was also presented with an Outstanding Technical Achievement Award and welcomed into the National Design Honor Society. My career began as an Architectural Associate in Mississippi where I provided a full range of services including 3D studies and building information modeling (BIM) — a process that involves the generation and management of computer representations of the physical and functional characteristics of buildings. I then moved up to supervise that entire office, handling projects of up to $30 million that included residential, retail, public works, hotels, condos and restaurants. As my career continued, I was hired to oversee the architectural construction document production for the Thalians Clinic at Cedar-Sinai Medical Center in California. I brought the project into full compliance with state hospital health standards and had it completed on schedule. I’m now the Principal Architect at Roger Perron Design and Construction. His creative design work for the property owner is the vital link that connects the owner’s original vision to the final result of the comfort, utility and beauty that is realized in the completed construction. There is an entire team of professionals ready to be of service to you at Roger Perron Design and Construction. Call us today at (323) 664-7001 for a free consultation!